Before Diana became Wonder Woman she was training to be an Amazon warrior. During her time training a girl wash up on shore. Diana learns this girl is deadly, making the rest of the amazons sick. With her kind hearts she wants to save everyone, even this girl they call warbringer. It gonna be a very long journey to save everyone and sneaking of the island. Can Diana save her people in time? What secrets lays within this one girl? With everyone waiting the girl dead it’s up to Diana to protect her. This book a pretty good, it brought the world of Wonder Woman to life. Really enjoy the cover and story behind it. To see how to story unfold the book comes out sometimes this week. Happy Reading! 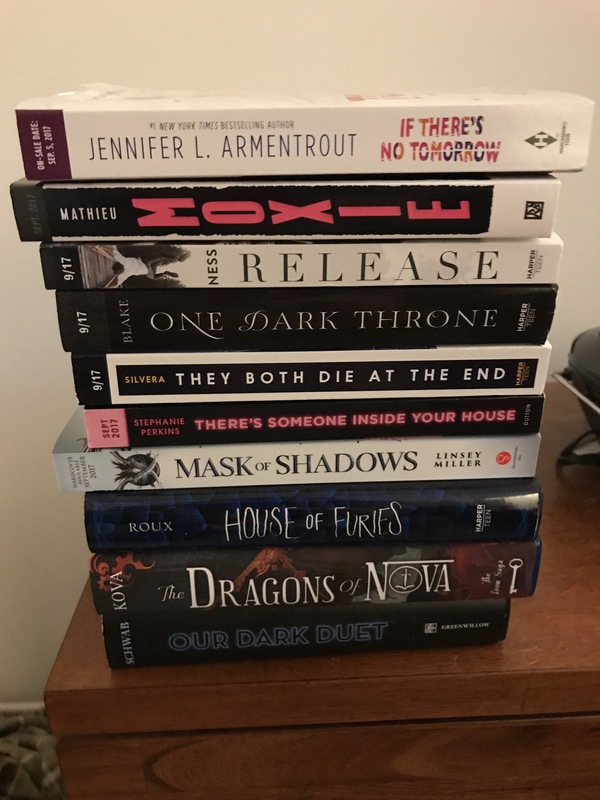 So what do you get can 13 authors pair up with there favorite book youtubers? You gets 13 different villains tales on how they comes to be so evil. This book was an alright read and good for people who love fairytale retellings. There some action, and some adult things in there so more for older teens a bit. My favorite story was Victoria Schwab where she wrote about death being a person. So read for yourself and chose your favorite story. Happy Reading! So I just finish and review The Diabolic book and now I can’t wait for book to Empress to come out in Oct. The story and everything to it was perfect, I love the cover to the second books and really can’t wait to read what happen next with Nemesis story. So here it is Empress cover and book summary, enjoy! Nemesis is a ruthless creature bonded to Sidonia to serve her needs and protect her. Sidonia grow close to Nemesis as an human then a killer at heart. One day Sidonia father upsets the emperor and he wants his daughter. In order to protect her Sidonia’s mother use Nemesis in her daughter’s place. Slowly Nemesis start to have feelings while she is away, and learn how ruthless the emperor and will do whatever she needs to protect Sidonia. Can Nemesis save Sidonia while trying to keep her emotions in check? This is book was pretty good. Really enjoy the story and world building to it. Happy for book two coming out soon. If you have yet read this book well you should give it a try, book two coming out this fall. So enter Nemesis world and see if she can save her friend life or maybe the whole world. Happy Reading! In a land where there was magic trees, they were slowly cut down and became towns. Slowly everyone forgotten the magic that lives within the city and moved on. The legend of the magic tress has become bedtime stories for the town. Our story starts with Amrita a princes who must marry Sikander a ruthless emperor. Who rumors has killed his father to gain control of his kingdom and ruin more homes in the process. In order to gain peace her father often her up as a deal. Things don’t always go as plan and now Sikander kills the king and Amrita goes on the run looking for help with an seer who been a slave for years in Sikander hands. The route going to library of fates to change there fate. It not gonna be an easy task for these turns being hunted. Also Amrita discovers an secrets her father been hiding on her for years of who she really is. This book was something different that I never read before. It was pretty neat world building. Really enjoy the cover to it. Are you read to enter the library and change your fate? Happy Reading! Kacey life was thrown into a new family, new school. She slowly settles in with two new best friend Bailey and Jade. One night her friends goes to a party with out her, next morning her best friend Bailey goes missing. After her friend goes missing there some hidden secrets she finds out about her new friends and her new family. This book is a good thriller leaving you guessing until the end on what happen to Bailey. Kacey somehow ends up prime suspect in Bailey’s case and quickly rumors spread about her. Are the rumors true and Kacey done something to Bailey? Nothing is as it seems in Kacey hometown not even her friends and family. I enjoy that how Kacey family are supportive of her throughout the ordeal. The only thing that remains is Bailey still alive? Well read what Kacey going through yourself and get all the answer you need when you pick up a copy. Happy Reading! 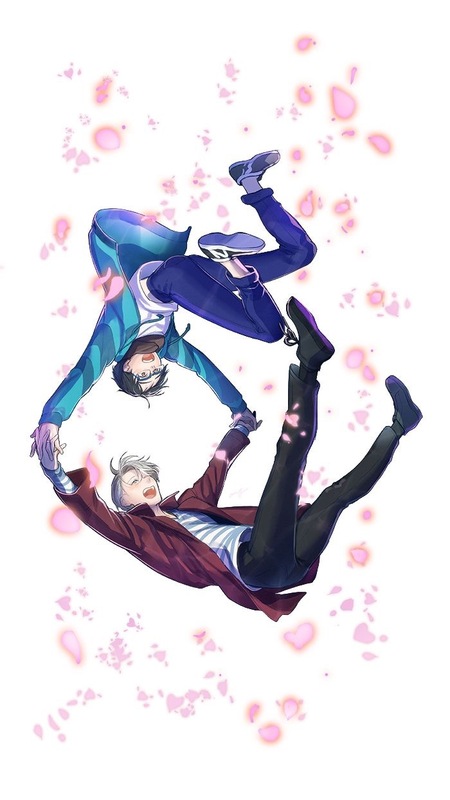 Here some Yuri on Ice picture. My co blogger Bella is sleeping now. Most recent pictures I have of her are for upcoming reviews which I can’t spoiler for you guys. Giving Bella a break with this post. Enjoy the pictures!! Tessa for a long time been living into her four walls of her bedroom. With the fear of going out. Her only life line is her twitter account and her love for Eric Thorn. Little does she know Eric thorn life is not as what it seems also. He is tired of being an super start and force into being friends with his crazy fan on twitter. Out of boredom he make contact with Tessa under a false twitter account to contact with his number one fan. Slowly starts feeling normal guy on twitter. What can wrong with social media? Tessa pass catches up with her and secrets of what happen to her are revealed. Can Eric trust Tessa to tell her the truth? This book starts out pretty fun for a thriller. Seen tons of thrillers movies to me some are funny. The story kinda slow pace but the ending kinda caught me off guard. Never seen that twist coming and now I must know how it was all put together in the end. Well can’t give to much away you must find out what happen with Tessa. Could always follow her back on twitter. So Happy Reading! Maddie is a hard worker, her family struggling to make ends meat, so to Maddie it’s up to her to fix everything. One night on her birthday she plays the lotto for the fun of it. Never thinking she could win, the odds where in her favor. Winning the lotto do change people that what her friends think Maddie changing not in a good a way. Now wanting to hide her secret from a boy she likes, so he don’t treat her different also. This book was a fluffy read for those you are into light and quick reads. My very book I read from this author. It was a good read to have after watching an horror movie, Annabelle. If I ever win the lottery help people out and get all the books in the world, What would you do if you won? Well read what Maddie did for yourself and see in the end is it true love going on or being used for money? Happy Reading! So here it is the new cover and everything….